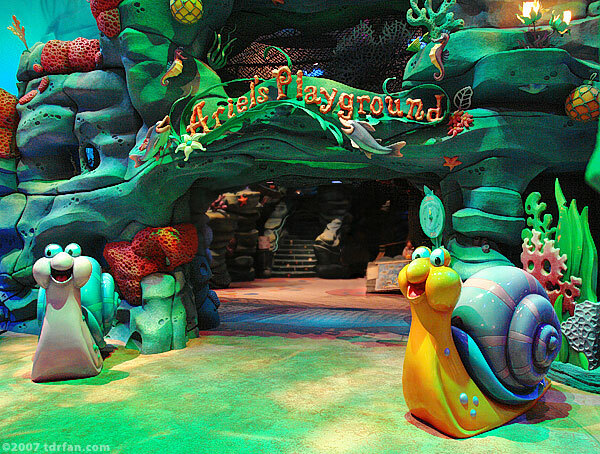 Ariel's Playground is, in fact, a playground for the youngsters. Unlike the typical playground you might see in your local neighborhood, this one is themed to the gills with scenes and characters from "The Little Mermaid." It is something akin to Tom Sawyer Island, done Little Mermaid style. Adults are welcome to climb around and explore things just like the youngsters, and if you have any "big kid" in you at all you'll probably enjoy doing it.